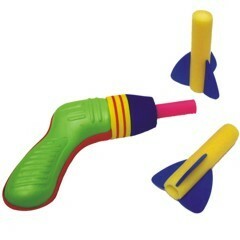 Our foam missile shooters are lots of outdoor fun! Just insert the foam missile on the shooter and watch it go. Our shooters are 4 3/4" in size and come in assorted colors and by the dozen. Please order in increments of 1 dozen.